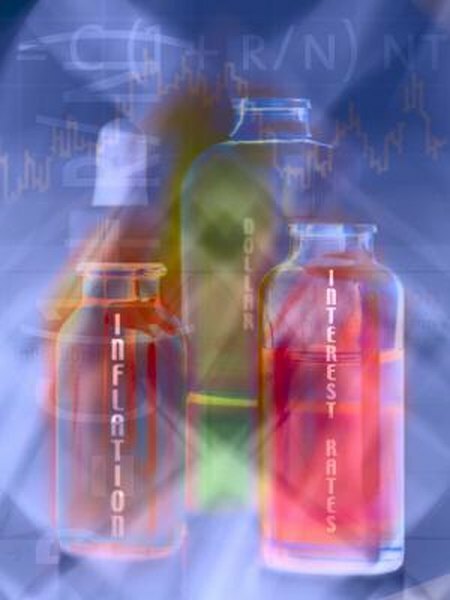 Fixed annuities expose you to inflation risk. Fixed annuities provide you with a low-risk, tax-efficient investment option. Many seniors view these insurance contracts as attractive alternatives to marketable securities such as stocks and bonds. However, fixed annuities aren't risk-free investment options. In some circumstances, the tax rules that make annuities appealing can also cause some investors to confront hefty tax bills. You can buy a fixed annuity with either a single premium or with a series of periodic premium payments. Annuity terms typically last for between four and 10 years. You normally incur surrender penalties that reduce or erase your interest earnings if you make withdrawals during the contract term. Some insurance firms allow you to make small penalty-free withdrawals, but you stand to lose a sizable chunk of your earnings if you have cause to cash in the contract early. In many instances, you can make penalty-free withdrawals of principal, although on some high-yield contracts, even these withdrawals are subject to penalties. You can buy a fixed annuity with previously tax earnings or with tax-deferred funds such as Individual Retirement Account money. Annuities grow on a tax-deferred basis. When you make withdrawals, you pay income tax on your earnings and any portion of your principal that hasn't previously been taxed. Withdrawals prior to the age of 59 1/2 are also subject to a 10 percent federal tax penalty. As with income tax, the tax penalty only applies to the portion of your contract that has not previously been taxed. You can avoid the premature withdrawal penalty, but only in very limited circumstances, such as if you become disabled or if you lose your job after reaching the age of 55. In theory, fixed annuities offer you principal protection because you earn interest on your investment, and your premiums are not subject to price fluctuation. However, you could lose some of your investment if your annuity provider goes bankrupt. Annuity contracts are insured by state-chartered insurance guaranty funds rather than by the federal government. Coverage levels vary between states but in most instances, the guaranty funds insure only up to $250,000 per contract holder per insurance company. A fixed annuity provides you with a set rate of return so you know precisely how much you will earn at the outset of your contract. However, prices of goods and commodities fluctuate over time, and fixed interest investment options expose you to inflation risk. Over the course of several years, your annuity may grow at a slower rate than inflation. When this occurs, you effectively lose spending power. The longer the contract, the greater the risk that rising inflation could offset your earnings.